“Black Panther” earned an estimated $US22.7 million its first day of release in China. It’s on pace to outgross what “The Last Jedi” earned there, as comScore box-office analyst Paul Dergarabedian predicted to Business Insider earlier this week. 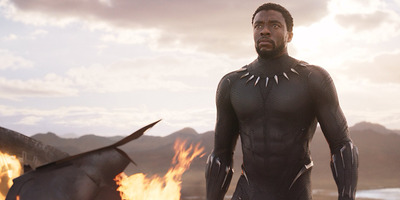 “Black Panther” should hit $US1 billion at the global box office by the end of this weekend. “Black Panther” is proving that in China the Marvel Universe is more powerful than The Force. Early estimates have “Black Panther” taking in $US22.7 million on its first day, according to Deadline. That’s almost as much as “The Last Jedi” earned in its entire opening weekend in China ($US28.7 million). “The ‘Star Wars’ brand doesn’t have the built in audience that Marvel has developed over the years,” he explained. Though “Star Wars” has been branded into the minds of North Americans (and other regions of the world) for generations, China has been behind on its access to the saga. It’s only been showing “Star Wars” movies since the late 1990s, when the prequels were the first-ever “Star Wars” films shown in theatres (outside of piracy). The original trilogy wasn’t released in China until “A New Hope” opened in 2015. The Marvel Cinematic Universe, on the other hand, has been getting plenty of attention in China. Outside of “The Force Awakens,” all the recent MCU titles performed stronger in China than the recent “Star Wars” releases – $US109.1 million for “Doctor Strange,” $US100 million for “Guardians of the Galaxy Vol. 2,” and $US116.2 million for “Spider-Man: Homecoming.” In fact, none of the “Star Wars” movies have broken the $US100 million mark in China since “The Force Awakens” ($US124.1 million). “The Last Jedi” earned $US42.5 million in China. “Black Panther” looks to be on its way to be in that company. And it’s tracking to hit the $US1 billion global box office milestone by the end of this weekend.